Santa Margherita is a port town which you will need to pass in order to get to Portofino. It is much larger in size and has numerous hotels of varying quality (from backpackers hotels to grand 5-star establishments). We prefer to stay at Portofino as it feels more exclusive than Santa Margherita, though that's not to say that Santa Margherita doesn't have its own charms. In many ways, Portofino is to Monte Carlo what Santa Margherita is to Nice. Because Santa Margherita has many large hotels, many of them 5-star, this is a popular destination for larger groups and tour groups (since tour buses are not allowed into Portofino, and normally the tourists are dropped off at Santa Margherita and they then take the ferry to visit Portofino for a few hours). 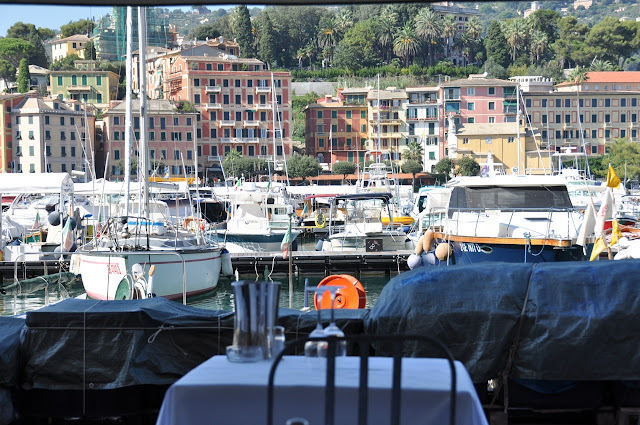 On a Saturday afternoon, we took a public bus from Portofino to Santa Margherita (only 10 minutes) for lunch. 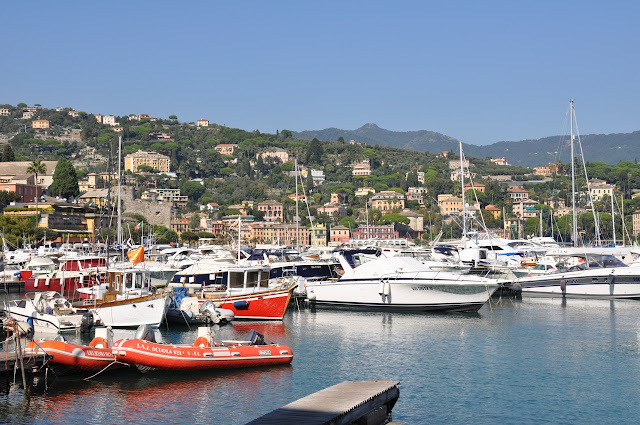 Interestingly, Santa Margherita was quieter than we expected, but then we quickly concluded that it was because all the tourists were in Portofino at that time! 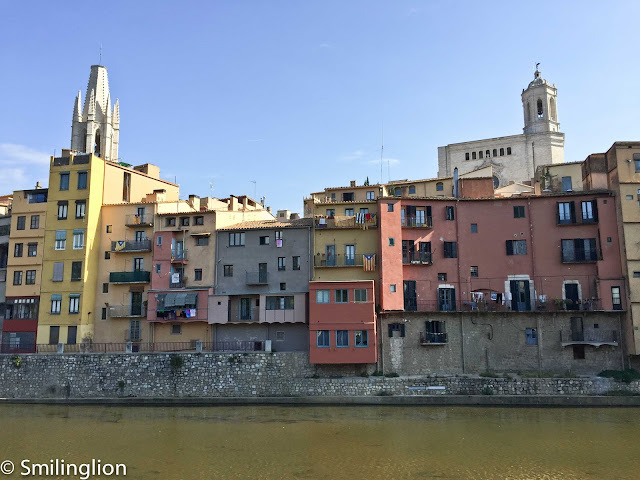 We went looking for this restaurant, L'Altro Eden, which was quite highly recommended on one of the Italian food blogs, and after a 15 minute walk (it was a nice stroll along the promenade though), found it along one of the piers. It was quite chic and had a modern interior. The tables outside (where we sat ourselves) were facing the port where docked idyllically were rows and rows of pleasure craft and small fishing boats. 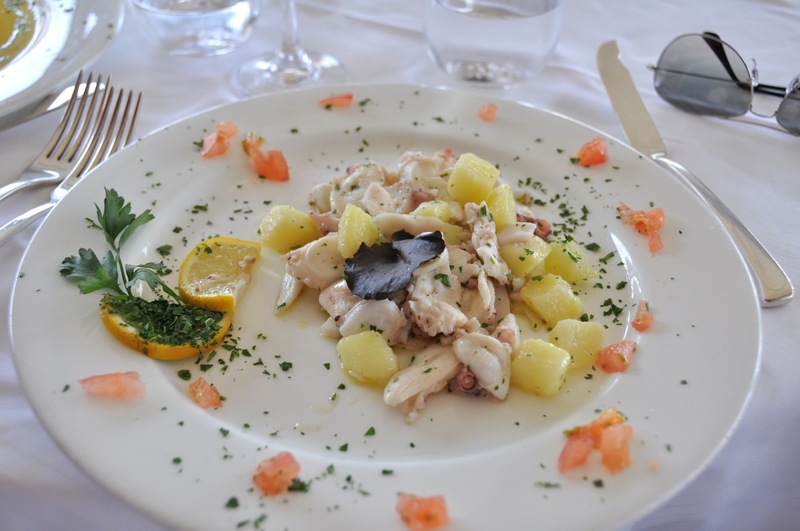 Being quite hungry by that time (we had completed a 2.5 hour hike from Portofino along the cliffs to the secluded San Fruttuoso Monastary that morning), we dove into ordering the food without hesitation. I ordered the octopus salad and it was very good. The octopus slices were very fresh and cooked with some skill such that they didn't taste chewy like how I would have expected them to be. 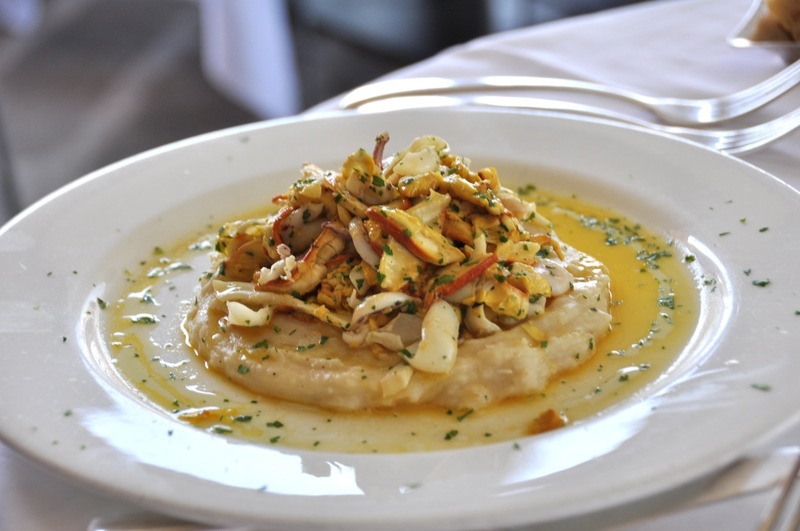 My wife ordered the sliced squid with mushrooms on a bed of mash potatoes. It was quite good if it wasn't too generously seasoned with lemon (causing it to taste a bit sour). 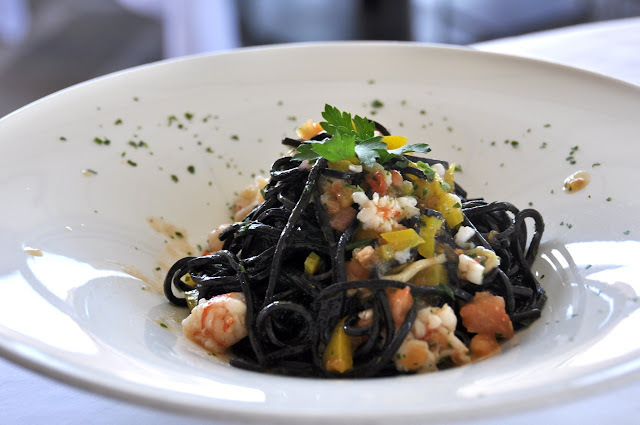 For mains, my wife had the squid ink tagliolini with prawns which tasted as good as it looked. 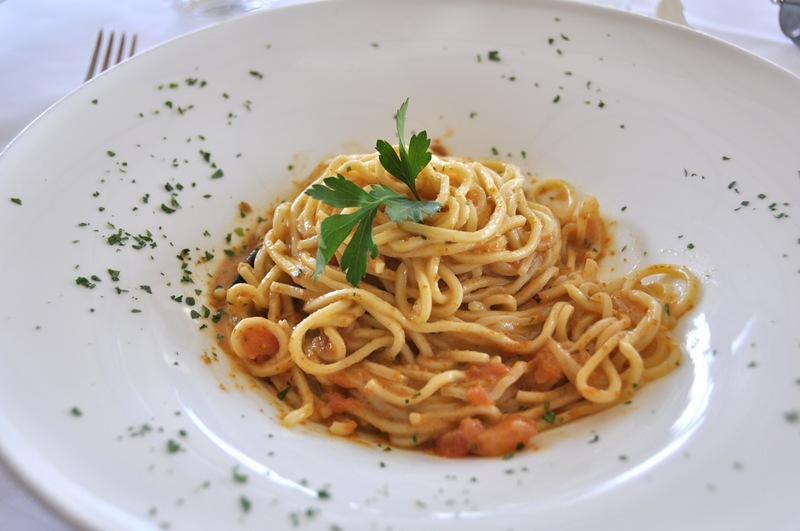 The pasta was cooked perfectly al dente, and in the manner of pasta in the region, the homemade pasta and fresh seafood were all tossed and cooked in olive oil. My pasta was the sea urchin tagliolini and it was divine. Unlike many other similar dishes whereby the pasta is tossed with raw sea urchin, this was cooked and it really brought out the flavours of the sea urchin, complementing well with the egginess of the homemade pasta. After lunch we sat leisurely at the table finishing up our bottle of Vermentino (same producer as past 3 meals again) and ended off with an espresso, Italian style, while watching the sea gulls glide gracefully over the water. Final Thoughts: Food was very good and innovative. 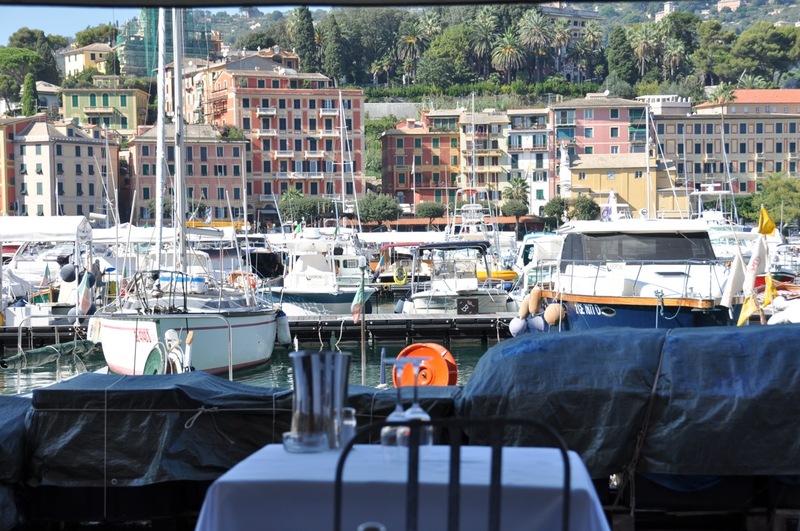 We will be keen to eat here again if we find ourselves in Santa Margherita again. Great views of the bay and the town.